As Three Ireland’s EStars are bracing for the final week of competition, the contenders will take on not one, but two bouts to make it to the May 13th Final. First up, it’s back to Dublin’s DCU on Monday, April 30th, before Ireland’s biggest esports roadtrip travels north to Derry this Thursday, May 3rd, with the action kicking off from 6pm both nights. Only two fixtures remain to decide which four teams will make it to the semi-finals of Three Ireland EStars and, if the approaching climax of the competition was not exciting enough, the teams will have to conclude their endurance test with two bouts, just three days apart for week eight. First up, Three Ireland EStars will return to DCU on Monday for the penultimate league clash, with Big Betty set to dock once again beside the Helix and the viewing area again in the Nubar. With barely a moment to process the results, Betty will be back on the road to travel to the home of Derry F.C., at the Brandywell for the final league night on Thursday. Presented by radio stars, Connor Phillips and Holly Hamilton, the Three Ireland’s EStars League Super Week at DCU, Dublin and the Brandywell, Derry, provides spectators the final chance to catch the world’s fastest growing spectator sport on the road in advance of the spectacular final at the 3Arena. The games will take place on board the iconic mobile esports arena, Big Betty. Expert gaming shoutcasters, Nikita Buffee and David Whyms will provide commentary and analyse the unfolding action, and soft drinks partner Lucozade, main sponsor Three, retail partner Peak and food partner, Four Star Pizza, will be on site to add to the buzz and fuel the competition. 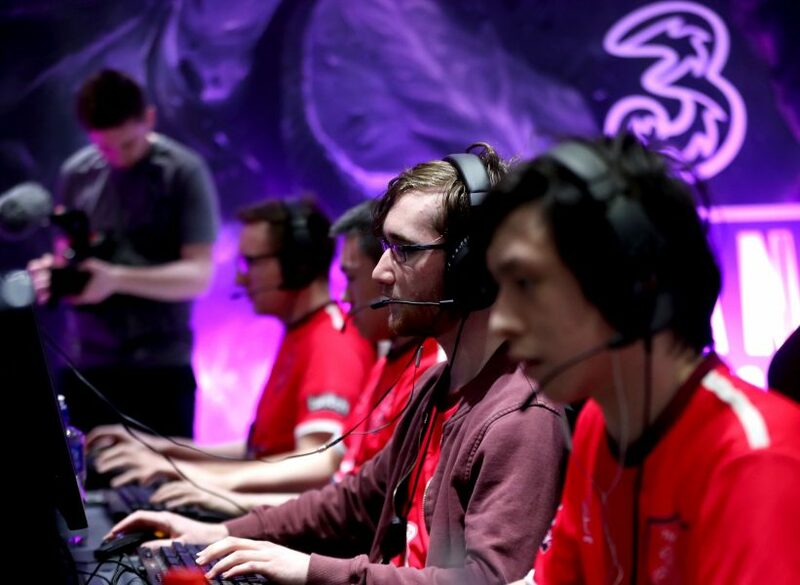 As Ireland’s biggest ever esports tournament, Three Ireland’s EStars showcases the intense action and epic drama of top-level competitive gaming on a scale never seen before in this country. Ten teams, representing nine League of Ireland premier league football clubs and main sponsors Three, have been fighting it out over eight weeks of gruelling competition to earn their place in the 3Arena in Dublin on May 13th and the chance to win €20,000. Monday’s event at DCU marks the home event for the St Pat’s EStars’ team, while Big Betty’s first trip north of the border on Thursday, will, of course, be Derry EStars’ home clash at the iconic Brandywell stadium. With the final four slots still very much to play for, Three Ireland EStars’ Super Week promises to be a cracking denouement to what has been a thrilling league. Mags Byrne of Three Ireland’s EStars said the final week of the league would be crunch time for the teams with an eye on nabbing a spot in the Final at the 3Arena in May. Three Ireland EStars will be at the Dublin City University, Glasnevin, Dublin 9, this Monday from 6pm and at the Brandywell, Lone Moor Road, Derry, on Thursday, also from 6pm. Admission is free.